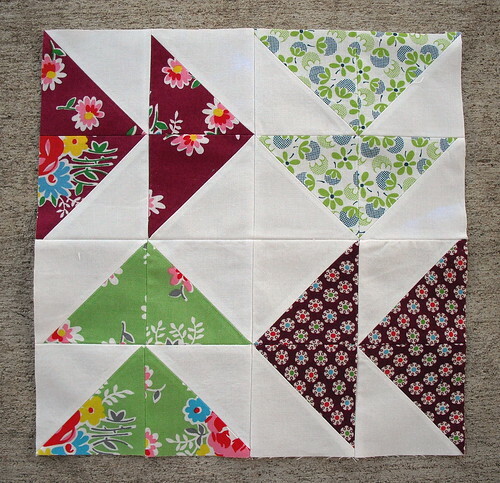 I finally got my quilt-along blocks done last weekend. It felt like I was behind, when in reality it was only the middle of the month, so I don't know where I got that from. Either way, I'm glad to have them done because they are some pretty cool blocks. 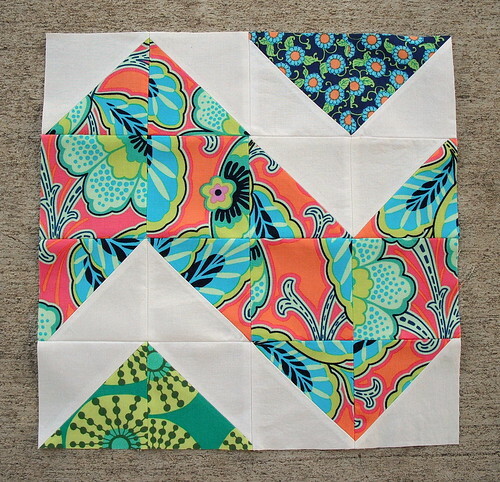 First up is the February block for the HST quilt-along. 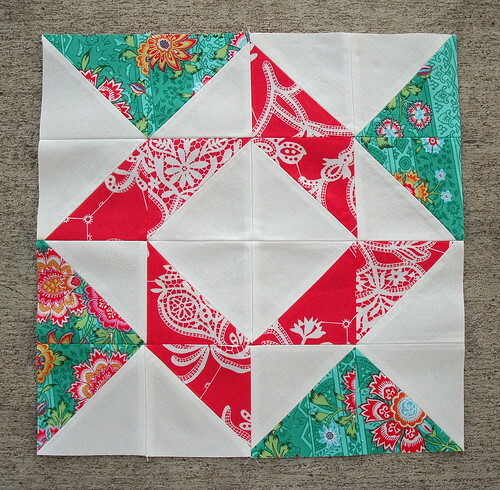 Let me just say that HSTs have grown on me over the last few months, and I'm really enjoying this quilt-along. 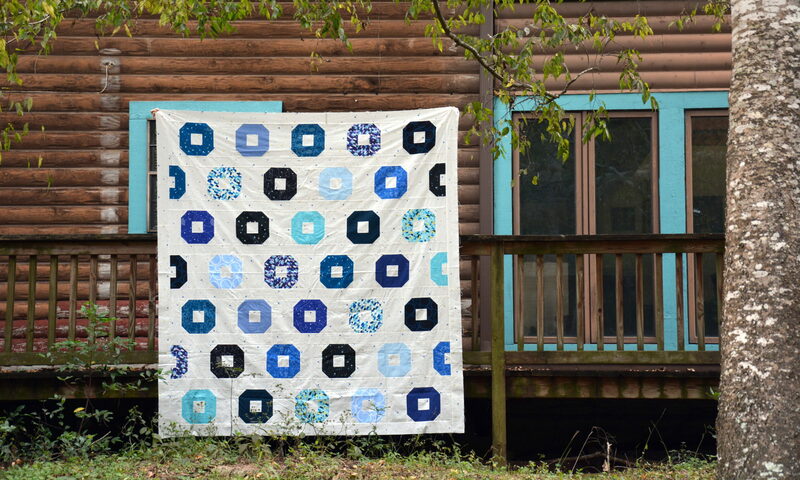 Much to my delight, the theme for February for the Craftsy BOM is HSTs! Woohoo! The first block is called the Balkan Puzzle block. Pretty cool, no? The second block is a chunky chevron block. I'm really loving the bright orange in this block!